Felling Products offers a full line of high quality table tops and table bases. Tables and bases can be customized with your choice of materials and finishes to complement your décor. All table tops are custom made to your specifications. Tables can be made in any size or shape, while standard sizes and shapes are available and are a more affordable option. 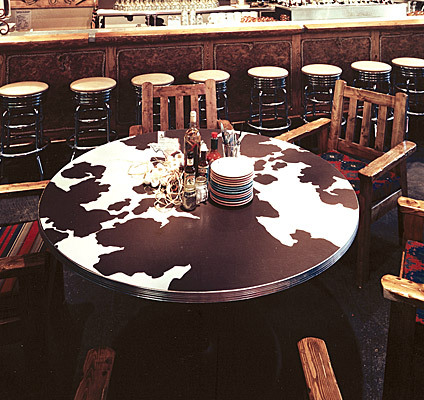 Table tops can be covered with plastic laminate, wood veneer or vinyl padding. Edges of table tops are available in several options including plastic laminate, self-edged, vinyl T edging, PVC edging, metal T edging, and solid oak or solid maple wood edges in a variety of choices. Felling Products has a wide variety of metal table bases and solid wood table bases. All bases are available in standard table height and some bases are available in stand-up bar height.